Removing Hazardous Trees is a must, and something that needs to be done absolutely as soon as possible. When a tree becomes diseased, or you actually realize that your tree is a safety hazard to yourself, your family, or your business, it's officially time to remove it from your property. You may be asking yourself 'But how do I recognize when a Tree is hazardous?' Well, that's what we're here for! A tree has many potentila safety hazards, and each one is unique to that tree or the property that it is located on. If you're standing under a tree, and that specific tree is dead, and waiting for a heavy wind to blow it over, then that tree is a hazard to you. Really, Hazardous Trees are mostly hanging over homes or office buildings, or a large portion of the branches are posing a hazard to the safety of your structure. Some things to recognize when it comes to hazardous trees are if the branches are missing bark, split, or there are significant signs of decay in the branches or trunk. If Branches break easily, or a branch has trouble growing leaves, then your tree is in need of some serious tender loving care. 1. Branches are brittle, and break easily. If you can easily break a branch that is as thick as your pointer finger, then you most likely have a hazardous tree on your hands. 2. Leaves are not growing from a branch, and they have not been growing from that branch for a very long time. 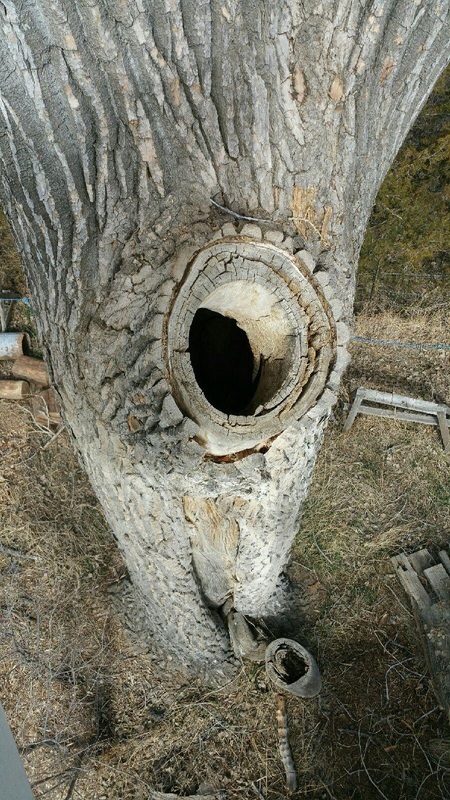 Most Fort Collins Cottonwoods have several branches that, because of their old age and the fact that they have not been properly trimmed over time, are dead or diseased. If you have a Cottonwood that has a few branches that are not growing leaves, contact your local ISA Certified Arborist so you can get your tree or branches trimmed and removed. 3. The roots are visibly decaying. If this is the case, the trunk of your tree is most likely not in a very good place, and you need to schedule a Tree Removal asap. 4. If you know the tree's history, or have a way to find out the history, do so immediately. Having the lowdown on a tree is essential to getting the right information before you decide to remove your hazardous tree. 5. Balance is visibly off. Tree's are not suppose to look like the Leaning Tower of Pisa. If you have a tree that is leaning in one direction, call your local Tree Care Company immediately. 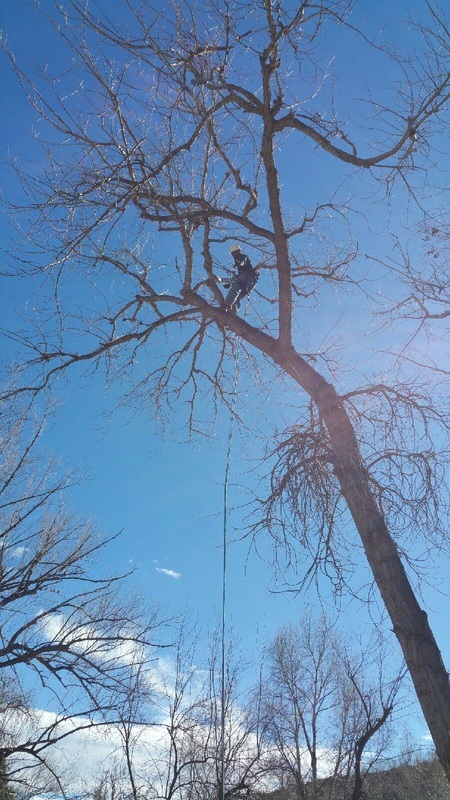 Diamond Tree Company has been offering Hazardous Tree Removal in Fort Collins, Loveland, Windsor, Berthoud, Livermore, Bellvue, Estes Park, and all throughout Northern Colorado for over 15 years. To schedule a free estimate, simply give us a call at 970-493-8733 and we will come to you.